A school bus driver for Sabel Palm Elementary School in Jacksonville, Florida decorated her school bus for a student’s birthday. 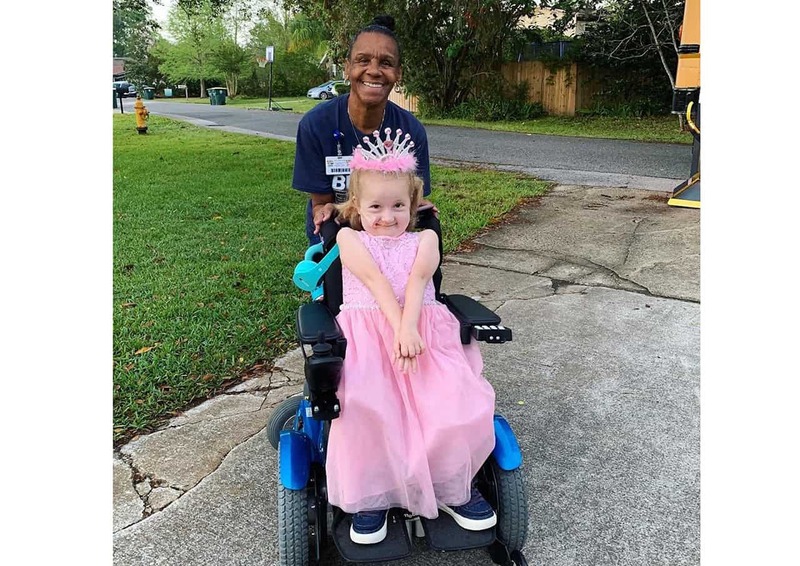 Arletha Sherman, 64, of Jacksonville, Florida, decorated her school bus on April 10 in celebration of Anna Hopson’s fifth birthday, reported Good Morning America. Hopson is a pre-kindergarten student at Sabal Palm Elementary School in Jacksonville, Florida. She has a neuromuscular disorder, Charcot-Marie-Tooth disease, that causes nerve damage in the arms and legs. Hopson uses a wheelchair and has been riding Sherman’s accessible bus, reported GMA. Hopson was given a princess gown and tiara when she boarded the bus on her birthday. Students on the bus reportedly sang “Happy Birthday” to Hopson. Sherman hopes this story will help spread more bus driver kindness towards their children, it was noted.